Background: Cotton Duck machine stitched on to an army blanket. 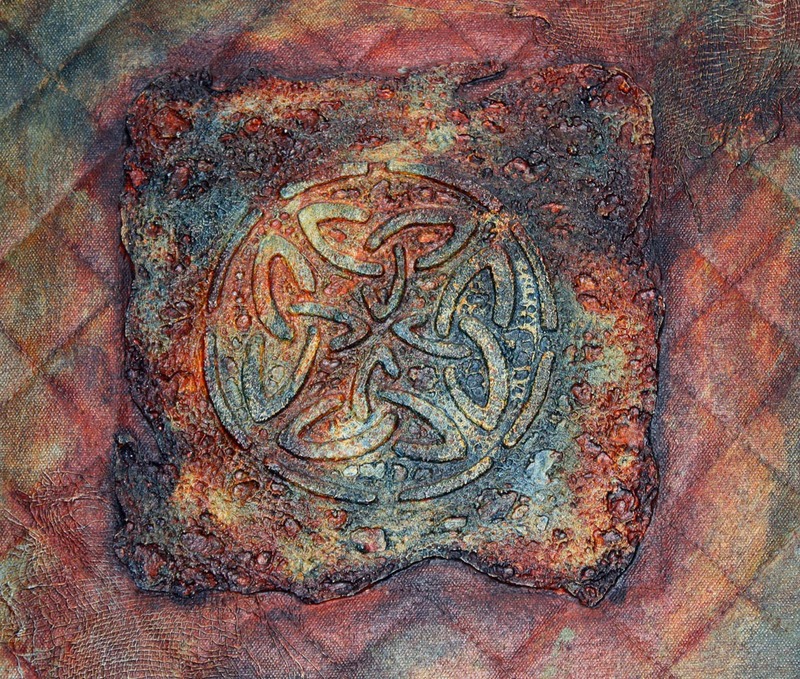 Celtic motif: Pumice Gel stencilled on to Kunin Felt. Randomly stitched on to Pelmet Vilene then zapped before stitching to background. Wording: Latin phrase printed on to dressmaking tissue paper using a laser printer and adhered to the background with Golden Polymer Medium just prior to adding colour. 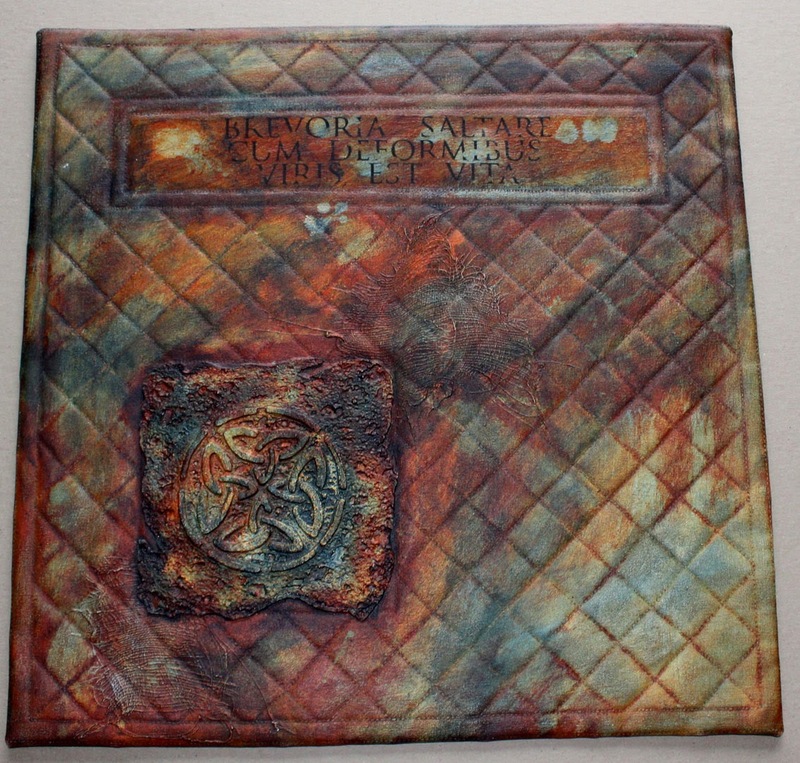 The whole piece has been given a layer of gesso before being coloured with Golden Fluid Acrylic Paints in Quinacridone Nickel Azo Gold, Transparent Red Iron Oxide and Paynes Grey. Wonderful as always! Love the title.